One of the Best of the Best in North Burnaby.Judge it for yourself. Quality & taste. It's all here. Imagine entering into your dream castle into a set of grand double auto iron gates. There you will find a beautiful landscaped & securedgarden with the sound of waterfall. Walking into this home you will find extensive wood work, exotic & artistic crown mouldings, creative ceiling works, Roman style pillars, bath vanities & tiles, top quality appliances, central air conditioning, wok kitchen, huge covered party deck & much more. It also feat. 5 bdrms, 5 full bthms, & a 2 bdrm in basement. One of the best location. 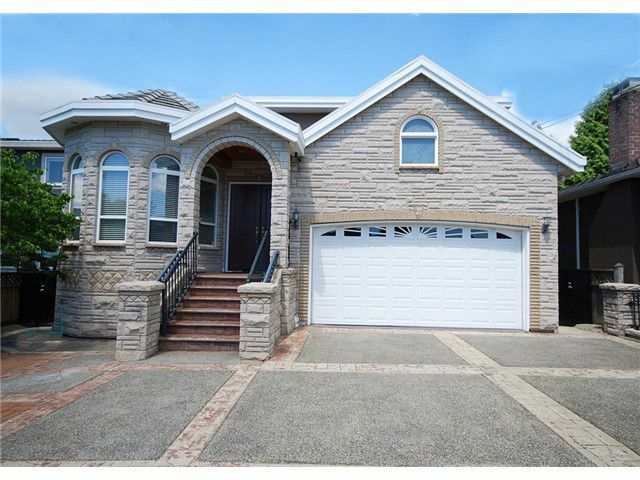 Only short walk to SFU transit, Burnaby North High, Westridge Elementary, Safeway, Kensington Mall.